I don't know about you, but I really love blush colors this season; Blush is the perfect color for summer, and looks great when paired with normal blue jeans or white denim! 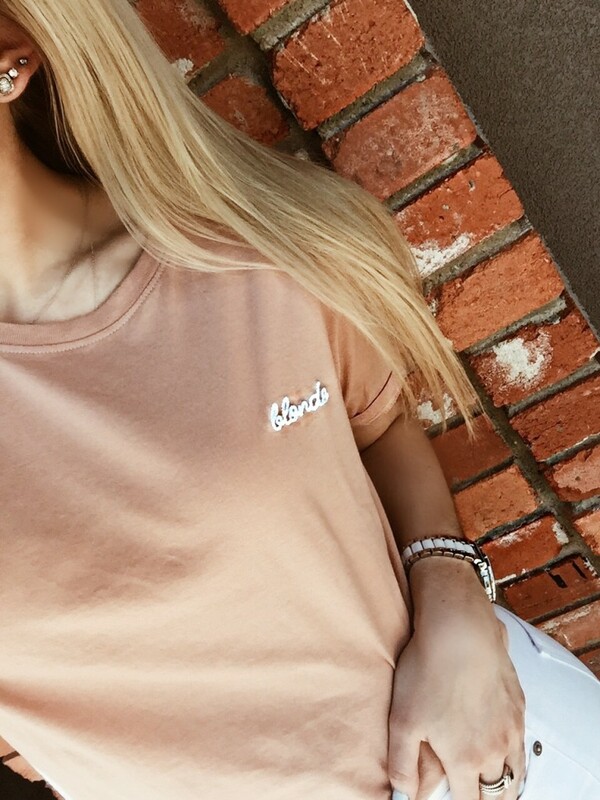 When I saw this Brunette The Label "Blonde" tee in this blush colorway, I knew I had to have it! I've been wearing these sneakers basically every day since I got them, so it's always nice to find new pieces of clothing to match them!